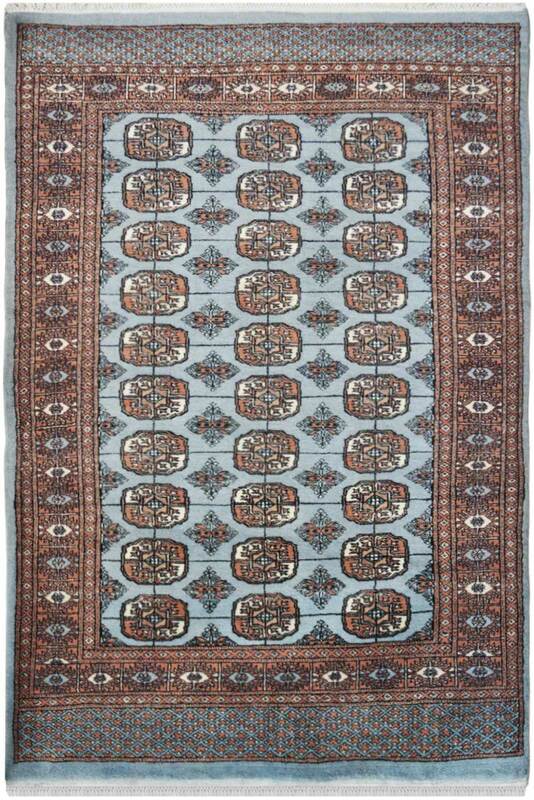 Sky blue bokhara rug handmade in fine quality wool. The rug has a series of boxes woven in unison which gives a very symmetrical look. Ideal for a room with subtle interiors. - This Pastel Bokhara rug has been woven in the finest quality wool by our weavers. - The design is unusual and gives a unique look to any space it is placed in. - The design has been originated from Persia from a province called Bokhara in Iran. - The main color is sky blue with tinges of ivory. - The border has an intricate pattern with pale brown tones. Due to its craftsmanship, this rug gives a very rich look.